In Fall 2017, restaurateur Bill Chait (formerly of Sprout LA group) will open Tesse in West Hollywood. Chef Raphael Francois will helm the restaurant and offer a menu inspired by French classics. Tesse, 8500 Sunset Blvd., West Hollywood, CA 90069, no phone. Look for high-end burgers made with 100-percent grass-fed New Zealand Wagyu beef at HiHo Cheeseburger, now open in Santa Monica right off the beach. The micro menu features a double cheeseburger special with hand-cut fries, and classic burgers or vegan house-made patties alongside iceberg salad, Straus vanilla or chocolate shakes, homemade pie, and beer and wine. Lunch & Dinner daily. HiHo Cheeseburger, 1320 2nd St., Ste. B, Santa Monica, CA 90401, 310-469-7250. Chef Royce Burke has opened Secret Lasagna, a gourmet late-night window in Chinatown at Mandarin Plaza serving Thursday through Sunday until midnight for takeout (and until 3 a.m. via UberEATS delivery). Look for braised beef or vegan lasagna, a beef and lamb burger with aged balsamic chimichurri, an acorn squash taco, and tea smoked chicken casserole. Secret Lasagna, 970 N. Broadway, Los Angeles, CA 90012, 323-505-8256. Chelle’s Seafood, a new bar and grill in Hollywood, offers jaunty Fisherman’s Wharf décor, day-long specials on beer and shots, and dollar oysters. Menu items include fish and chips, bacon-wrapped scallops, clam chowder in a sourdough bread bowl, fish and shrimp tacos, and clams, lobster, snow crab and mussels by the pound. Lunch & Dinner daily. Chelle's Seafood, 6325 Hollywood Blvd., Hollywood, CA 90028, 323-468-0656. Gjelina/Gjusta chef Travis Lett has opened MTN in Venice sans signage or reservations --- but foodies are still lining up for the communal seats. Expect Lett’s California-inflected take on izakaya dishes ranging from mushrooms baked in yuzu butter, Big Sur sea vegetables, saba sashimi, gyoza, ramen and beef tataki. MTN, 1305 Abbot Kinney Blvd., Venice, CA 90291, 424-465-3313. On Sunset Boulevard in Hollywood, the former Gate of India has flipped into the more exotic Himalayan Hut. You can still find favorite Indian curries, masalas and vindaloos, but now also look for Himalayan/Nepalese dishes like chicken momo, Nepali goat curry, yak chili, and many vegetarian options. Lunch & Dinner daily. Himalayan Hut, 7300 W. Sunset Blvd., Los Angeles, CA 90046, 323-874-6673. Opa! Upscale Greek cuisine has come to Westfield Century City mall with a new and welcome outpost of Petros. Expect favorite dishes such as spanakopita, fried calamari, grilled octopus, feta-crusted rack of lamb, roast chicken, moussaka, and shrimp pasta. Lunch & Dinner daily. Petros Century City, Westfield Century City, 10250 Santa Monica Blvd., Los Angeles, CA 90067, 310-277-3876. Osen Izakaya is now open on Sunset Boulevard in Silver Lake. Chef/owner Damon Min Cho (Matsuhisa, Maia) offers a full sushi and sashimi menu, kushiyaki, signature rolls, raw oysters and several omakase choices. Starters range from agedashi tofu and yam shrimp croquettes to truffle tuna pizza; signature plates feature miso crab salmon, seared Hokkaido scallop, and scrambled eggs with uni on baguette, while big plates include a Japanese rib-eye. Dinner nightly. 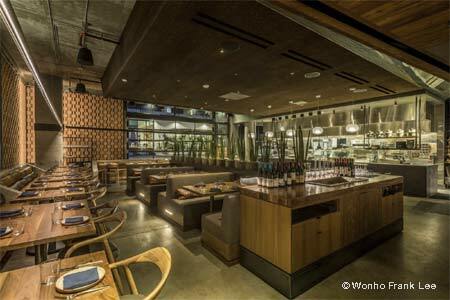 Osen Izakaya, 2903 W. Sunset Blvd., Los Angeles, CA 90026, 323-928-2220. Blacksmiths will open in DTLA the first week in August, bringing elevated New American fare to The Jeffries lofts building. Expect industrial luxe décor in a sprawling, airy, 5,000-square-foot space, highlighted by a vaulted ceiling and chandeliers, a long bar and a back patio. A menu from chef Edgar Ramos features braised bone-in short rib, Spanish octopus salad, beets and burrata, saffron black truffle fettuccine and roasted branzino. Blacksmiths, 117 Winston St., Los Angeles, CA 90013, 213-628-3847. Highland Park’s shuttered El Arco Iris has now been transformed into the restaurant Partido. Chef Lynne Tolentino offers a contemporary French/Filipino dinner menu, featuring items like fried pork chop adobo, lumpia, longanisa poutine, fried cauliflower and soft scrambled eggs on crispy rice, and mango jackfruit tart. Partido, 5684 York Blvd., Highland Park, CA 90042, no phone. The Orlando Hotel will be home to a new branch of Cleo from Disruptive Restaurant Group, a subsidiary of sbe. Look for a Mediterranean menu similar to the ones offered at the Hollywood (1717 Vine St., 323-962-1711) and L.A. Live (800 W. Olympic Blvd., 424-888-7818) outposts. Cleo, The Orlando Hotel, 8384 W. 3rd St., Los Angeles, CA 90048, no phone. Jane Q and Ever Bar are now open in the new Kimpton Everly Hotel in Hollywood. Expect specialty drip and espresso coffee from LAMILL and farmers market breakfasts, unique shared plates, hearth-fired entrées and luxe desserts. Jane Q and Ever Bar, Kimpton Everly Hotel, 1800 Argyle Ave., Hollywood, CA 90028, 213-279-3534. 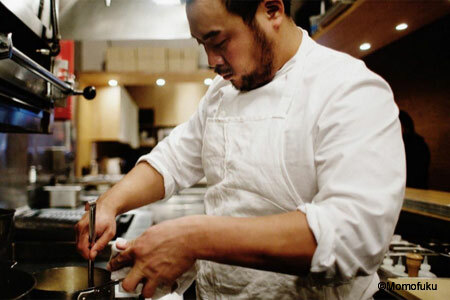 David Chang of Momofuku fame will open a restaurant in downtown Los Angeles. Projected to debut in late 2017, North Spring will be an original culinary concept inspired by California produce and the diversity of LA's food scene. North Spring, 1725 Naud St., Los Angeles, CA 90012, no phone. Silver Lake’s latest obsession is the hipster Israeli/Mediterranean spot Mh Zh, situated in the former Purgatory Pizza space. Expect mostly rustic sidewalk seating and long lines, and a menu featuring assorted Middle Eastern mezze, roasted vegetable dishes, short rib, and lamb ragoût with sumac and preserved lemon. Mh Zh, 3536 Sunset Blvd., Los Angeles, CA 90026, 323-636-7598. Eye-popping panoramic views of LA can be found at Dream Hollywood’s new rooftop destination The Highlight Room. TAO Group's 11,000-square-foot venue features a pool, private cabanas, a bar/lounge and grill. Look for luxe signature cocktails and California fare featuring crudos, salads, small plates and grilled meats. The Highlight Room, Dream Hollywood, 6417 Selma Ave., Los Angeles, CA 90028, no phone. 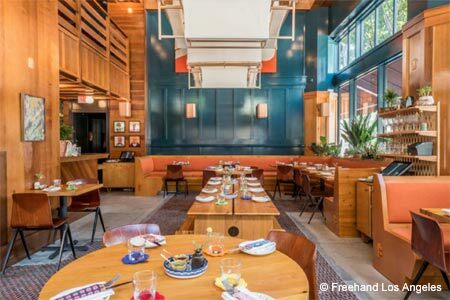 In another summer unveiling, Wilshire Grand Central’s new InterContinental Los Angeles Downtown debuts La Boucherie on 71. On the 71st floor of the now tallest building west of Chicago, this French steakhouse offers panoramic views of the city, hidden booths for VIP diners, premium meats and global seafood entrées. To complement the fare, look for a cheese and charcuterie cave and an expansive wine list with more than 1,200 selections. La Boucherie on 71, InterContinental Los Angeles Downtown, Wilshire Grand Central, 900 Wilshire Blvd., 71st fl., Los Angeles, CA 90017, 213-688-7777. Chef Phillip Frankland Lee has opened an omakase speakeasy, Sushi|Bar, behind his Encino restaurant and bar Woodley Proper. Expect eight seats, no reservations, and “a free-form, interpretive take” on a traditional sushi experience, with dishes like yellowtail with sweet corn pudding; bone marrow sushi; and mountain yam layered with salmon roe, mushroom dashi and lobster tomalley. Sushi|Bar, 16101 Ventura Blvd., Encino, CA 91436, 818-906-9775. The Exchange serves up Israeli-influenced fare for breakfast, brunch, lunch and dinner in the new Freehand Los Angeles hotel in downtown LA. The restaurant will soon be joined by rooftop cocktail bar Broken Shaker. The Exchange, Freehand Los Angeles, 416 W. 8th St., Los Angeles, CA 90014, 213-395-9531. Highland Park’s restaurant scene along Figueroa keeps heating up, this time with modern, eclectic Asian eatery RBTA. Chef Justin Baey (Picca) serves a variety of robata skewers, specializing in contrasting charcoal grilled flavors with seasonally rotating pickled dishes. RBTA, 5629 1/2 N. Figueroa St., Los Angeles, CA 90042, 323-259-6474. Cafe Bizou has opened a third location, this one in Agoura Hills. Look for salads and pastas, and fish and meats from the grill, as well as a three-course prix-fixe menu ($36) that features traditional French favorites like escargots, French onion soup, lobster, petit filet mignon and flourless chocolate cake. Choose from many reasonable California and French wines by the glass and bottle. Cafe Bizou, 30315 Canwood St., Ste. 14, Agoura Hills, CA 91301, 818-991-9560. The Southland’s popular DIY chain Chronic Tacos has landed in Burbank. Custom build your own tacos, burritos, tostadas and bowls with ingredients that include pollo asado, carnitas, al pastor, fish, shrimp and veggies. Also find breakfast fare and churro bites for dessert. Breakfast, Lunch & Dinner daily. Chronic Tacos, 116 E. Palm Ave., Burbank, CA 91502, 747-229-9016. With the opening of sweetgreen at Fifth and Grand, DTLA can now boast another fresh and healthy dining alternative. The eatery specializes in seasonal salads. Summer bowls include Thai watermelon with arugula, mint and blueberries, and Mexican corn elote with warm quinoa and lime cilantro jalapeño dressing. Pesto portobello is among the warm bowls, and you can create DIY salads, too. To drink, find a watermelon cilantro fresca. Patio seating is available. sweetgreen, 601 W. 5th St., Los Angeles, CA 90071, 213-279-6900. Barbara Jean has debuted in the former Maré space on Melrose, with chef Jason Fullilove at the helm. Look for elevated modern soul food with a focus on the roots of African American cooking, with dishes ranging from lime pickled shrimp and wood roast mussels, to braised lamb belly with saffron poached apple and warm buttermilk tart. As the restaurant is found on the back patio of Melrose Umbrella Co., so expect stellar cocktails too. Barbara Jean, 7476 Melrose Ave., Los Angeles, CA 90046, 323-930-7900. Chef Jordan Kahn has opened Vespertine, a fine dining destination in Culver City’s Hayden Tract across from his current breakfast/lunch spot, Destroyer. Vespertine, 3599 Hayden Ave., Culver City, CA 90232, 323-320-4023. Newly launched in July and available through the summer, Afternoon Tea Service in Windows Lounge at Four Seasons Hotel Los Angeles at Beverly Hills features a Signature Afternoon Tea ($49) and a Luxury Afternoon Tea ($69), available from 2 p.m.-5 p.m. daily. Inspired by traditional English-style tea service, both menus offer freshly brewed Rishi loose leaf teas in addition to scones dotted with Devonshire cream and lemon curd. Guests may also choose wine pairings with the Signature and Luxury Teas, curated by Domaine Chandon and Moët & Chandon respectively. The Luxury tea service includes blini with Petrossian caviar, lobster salad, cucumber sandwiches and tea cakes. Windows Lounge, Four Seasons Hotel Los Angeles at Beverly Hills, 300 S. Doheny Dr., Los Angeles, CA 90048, 310-273-2222. Chef Victor Casanova has moved his trattoria, Gusto, just down Third Street to a larger location. The new home (previously Pistola) features a marble bar and an upstairs patio with a retractable roof. Gusto, 8022 W. Third St., Los Angeles, CA 90048, 323-951-9800. Verlaine’s beverage director John Neumueller has introduced the restaurant’s cocktail lounge, Wild Beast. Look for a sultry interior and refined culinary drinks, accompanied by haute bar bites from chef Diego Hernandez. Wild Beast, 8715 Beverly Blvd., West Hollywood, CA 90048, 424-288-4621. Former “Top Chef” Dakota Weiss stepped down at Estrella and chef Mirko Paderno (Culina Modern Italian) has taken the reins in the kitchen. Weiss remains a partner in the restaurant, but expect significant menu changes. Estrella, 8800 Sunset Blvd., West Hollywood, CA 90069, 310-652-6613. On July 31, 2017, “Top Chef” Michael Voltaggio closed his Melrose Avenue restaurant ink. and relocated to a larger space at 826 N. La Cienega Boulevard (former home to Hutchinson), where he has a new venture called ink.well. ink., 8360 Melrose Ave., Los Angeles, CA 90069, no phone. The LA outpost of Parisian steak frites franchise Le Relais de l'Entrecôte has closed on Melrose Avenue. Le Relais de l'Entrecôte, 8755 Melrose Ave., West Hollywood, CA 90069, no phone. Hollywood vegan restaurant Cruciferous has shuttered after a few months of business. Cruciferous, 1253 Vine St., Ste. 8, Los Angeles, CA 90038, no phone.